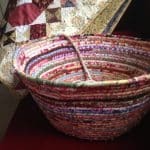 Talking about “Slow Stitching “. 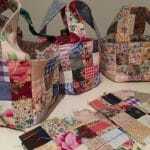 I started this project quite a number of years ago now. Even though you may think it’s taken a long time, I rather like to think that this is a project created from time which would otherwise have been “lost”. Recently, you may recall I posted “While We Wait”. 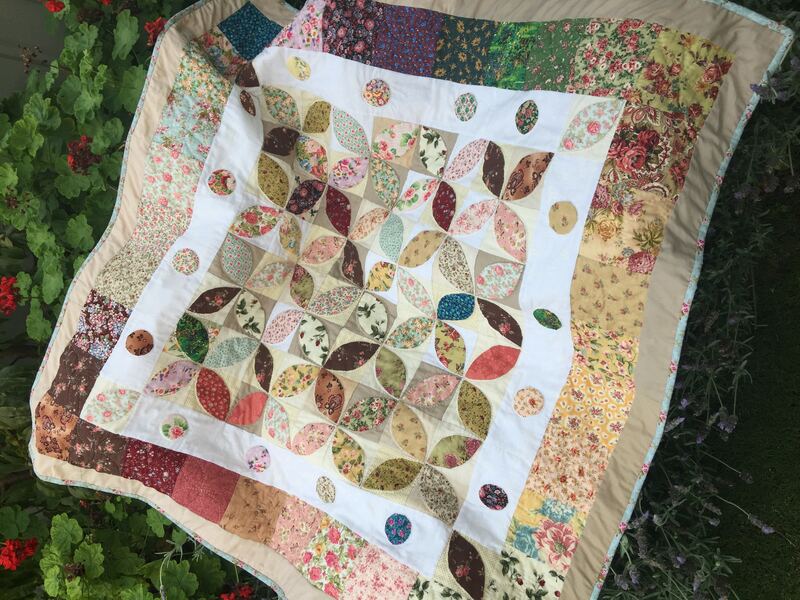 Today I have finally finished this Orange Peel Quilt. Here is a previous link to the story. This Orange Peel Quilt, slowly stitched, features, hand appliqué, hand piecing, some hand dyed fabrics and free hand, hand quilting. 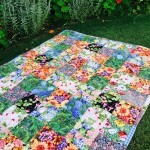 Even though this is a scrap quilt, I have chosen a theme of florals which I think unifies the quilt design. 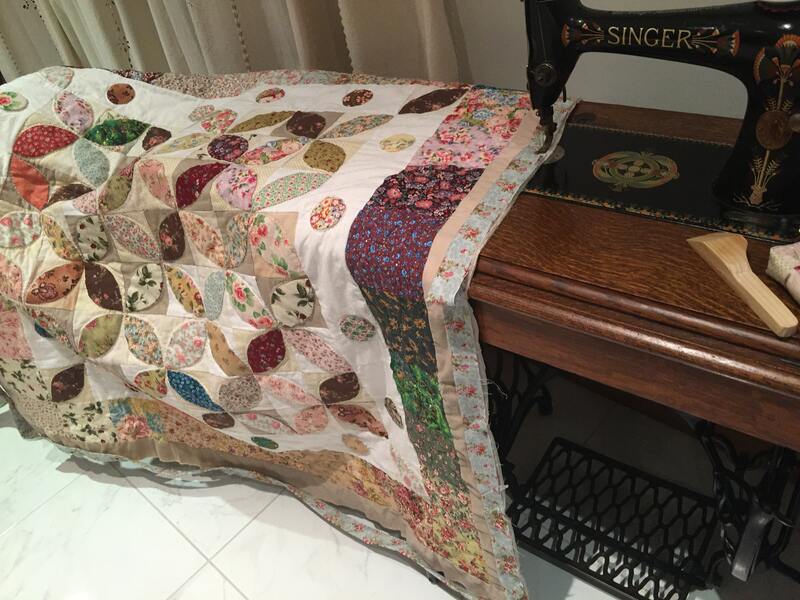 Finished quilt size = 49″ x 49″. 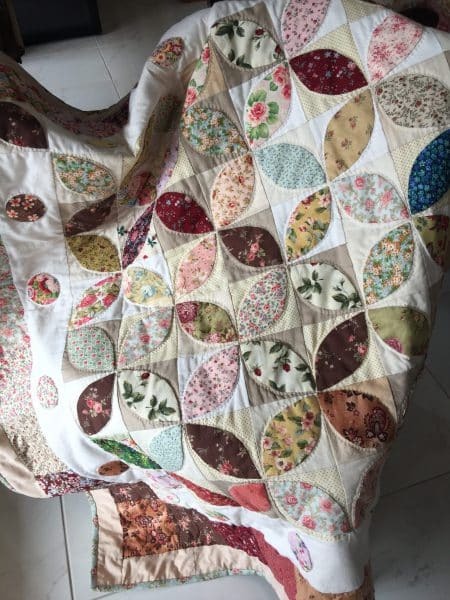 If you would like to create a similar quilt this is how I did it. 68 of 4″ x 4″ light squares for the backgrounds. Make the 68 Orange Peel Blocks. Click on the link for the details. Check measure through the centre block. Cut 4 of the 4″ white strips to measure 28 1/2″ in length. 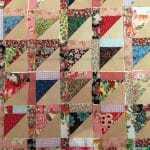 Attach a strip to two opposing sides of the quit centre. Add the remainder 4 Peel blocks to the ends of the remaining two white strips. Make sure they are orientated in the correct direction. 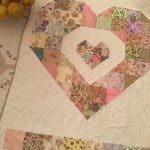 Sew these two strips to the other two sides of the quilt centre. 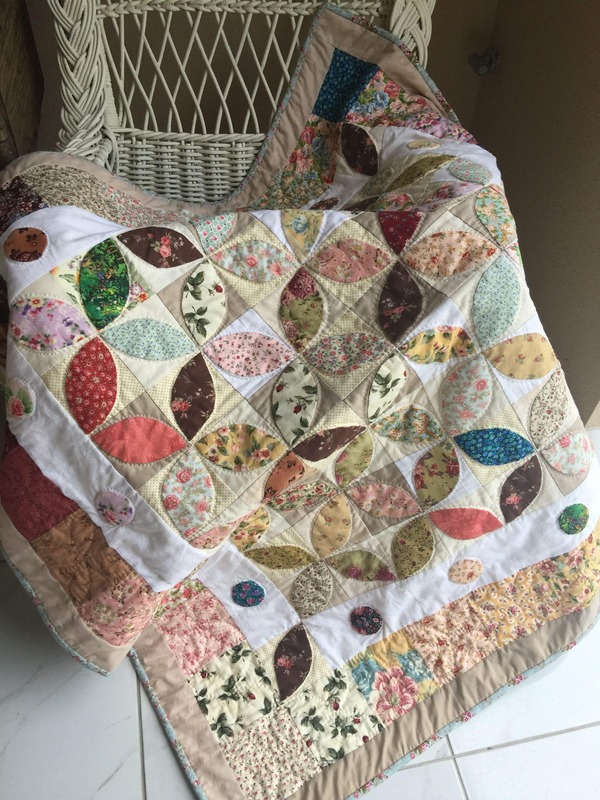 Make the circle appliqués. Use the same method as for the peels. 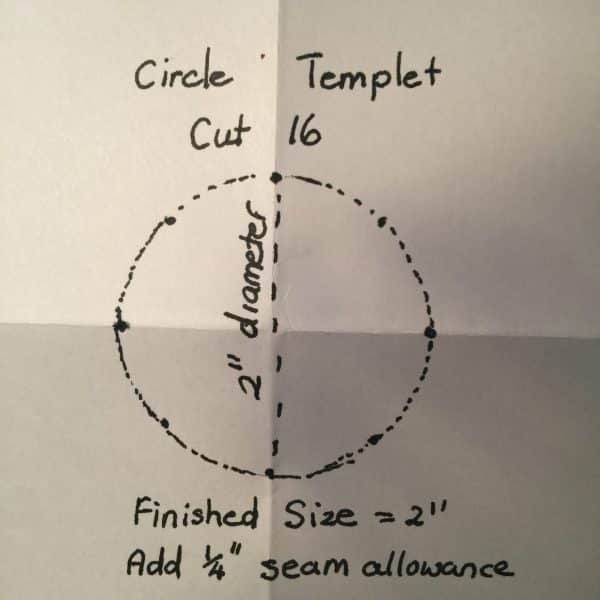 The circles will finish at 2″. Arrange the circle appliqués, equidistantly, four to each side of the white border. Secure, then handstitch in place. 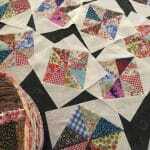 For the second border, sort out the 5″ x 5″ Charm squares, arrange in colour groups and light to dark around the quilt. 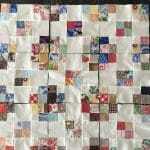 Once you are happy with the placement, sew 8 squares together, for two opposing sides, attach to the quilt. 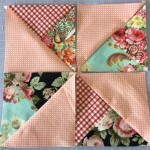 Sew the remainder squares, 10 each for the remaining 2 sides and attach to the quilt. 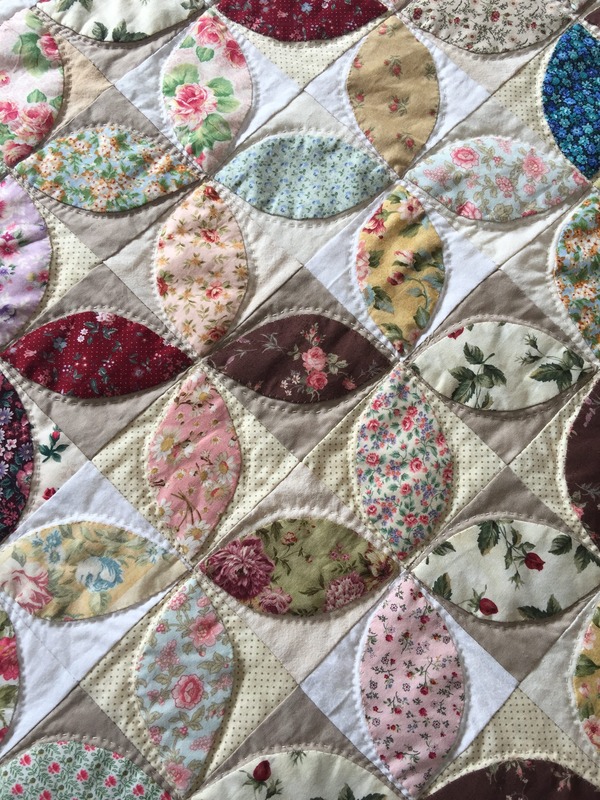 For the third border, check measure through the centre of the quilt. 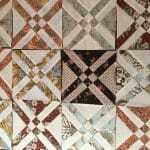 Cut then attach the 2 1/2″ taupe strips around the quilt to make the third border. 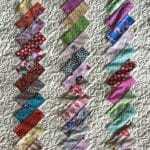 Sew the binding strips together then add the binding to the quilt. Hand stitch the binding to the back. 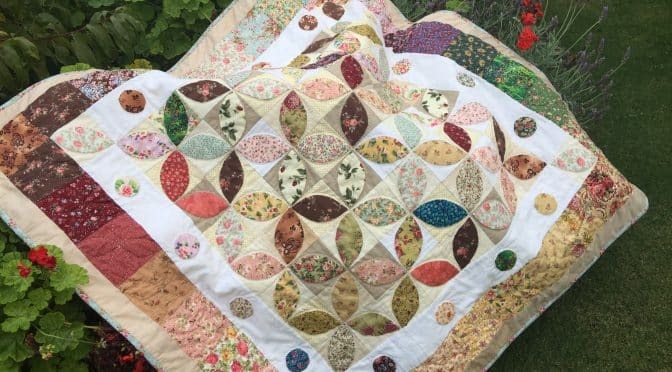 This is a perfect sized lap quilt. I’m going to catch a few zzzz under this one!